Zimmer Celebrates 50 Years in Business! Scroll below for the full article and more pictures! 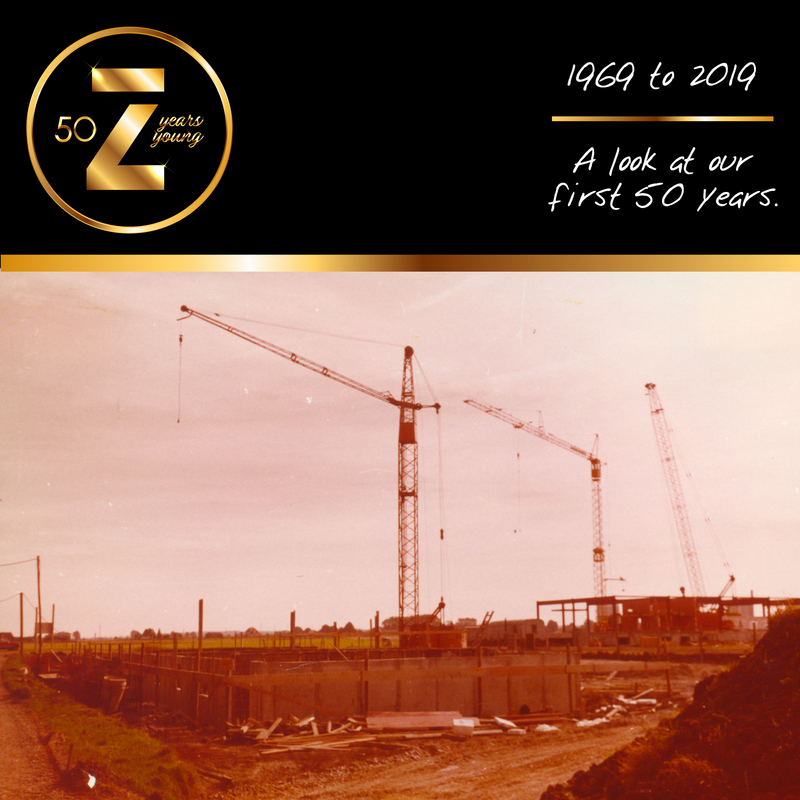 The story and pictures of our first 50 years. 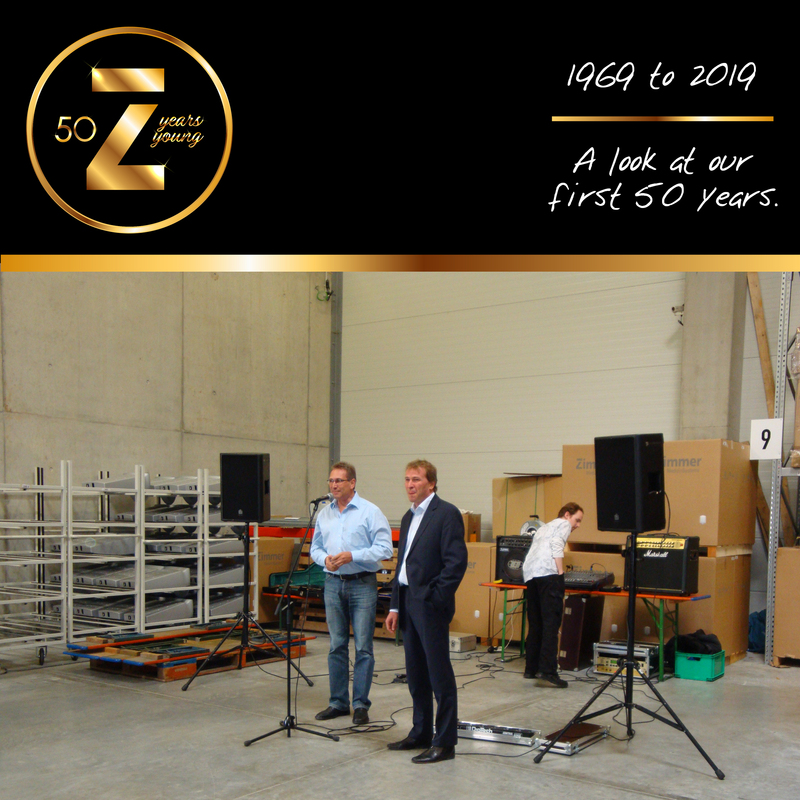 2019 marks Zimmer MedizinSysteme’s 50th year in business! In honor of our German parent company’s anniversary, we’re celebrating with a look back at the story and pictures of its evolution. (Don’t miss the pictures below!) The family company began humbly, two generations ago in Ulm, Germany. 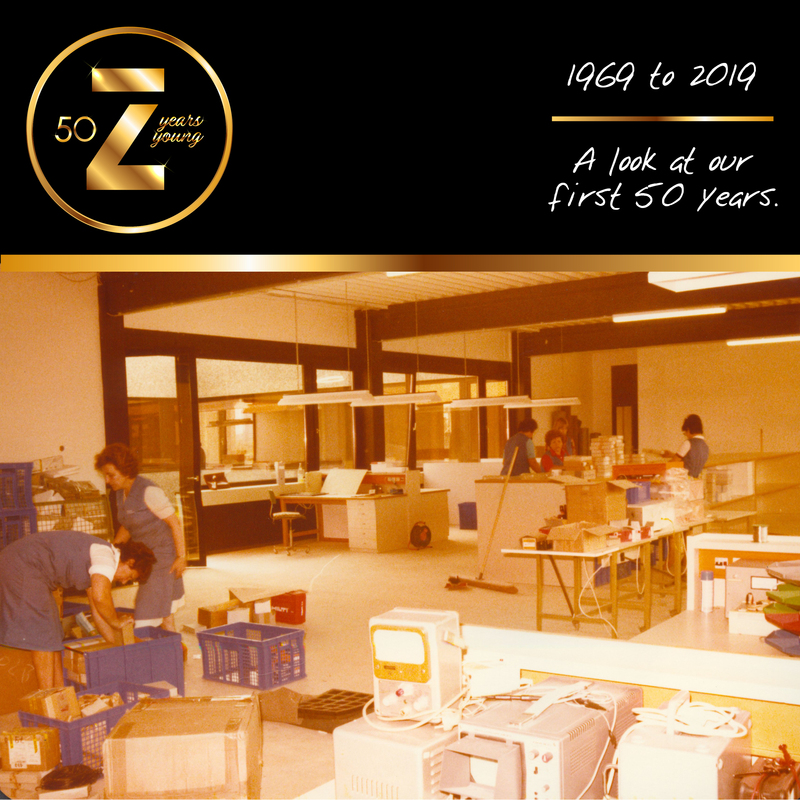 Later, in 1986, Zimmer MedizinSystems, an American company, was established as the US distribution arm for Zimmer MedizinSysteme. 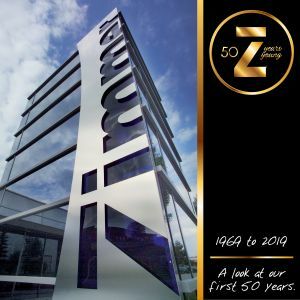 (The German parent company, Zimmer MedizinSysteme, is spelled with an “e” at the end. 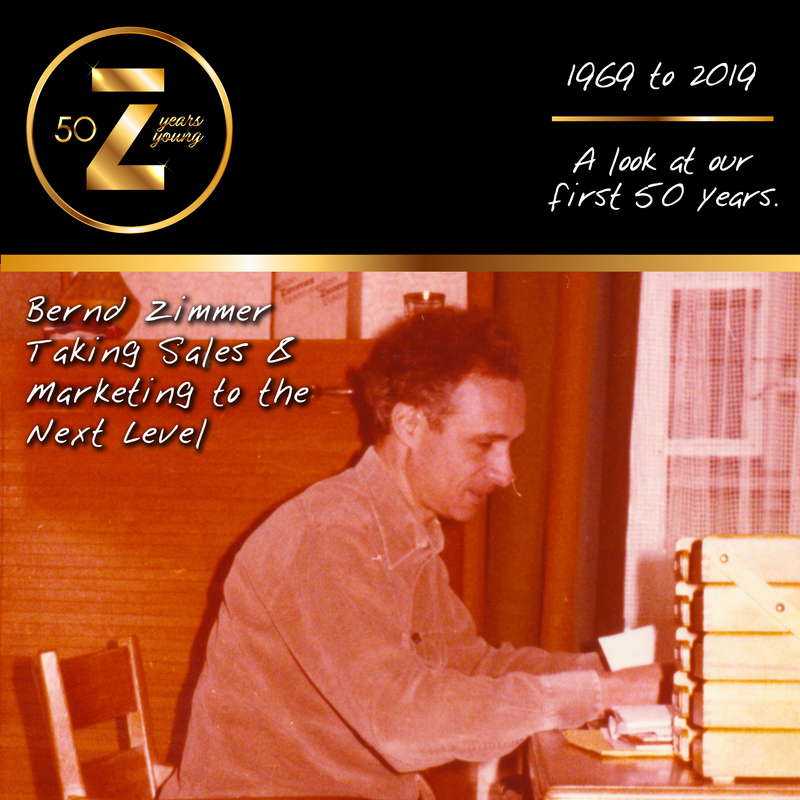 The American company, Zimmer MedizinSystems, is spelled with an “s” at the end.) Today, Zimmer USA has offices in Irvine, CA and Allentown, PA. Zimmer MedizinSysteme has expanded throughout the rest of the world, becoming a global leader in physiotherapy devices and in the aesthetic industry. We focus on creating cutting-edge, quality products for Aesthetics, Physiotherapy, Sports Medicine and Podiatry, with innovative Cardiology and diagnostic products complementing our product range. The story of Zimmer MedizinSysteme’s 1969 origin begins a bit further and a third generation back with the business foundation laid by Erich Zimmer, the grandfather of Zimmer’s current co-CEOs. 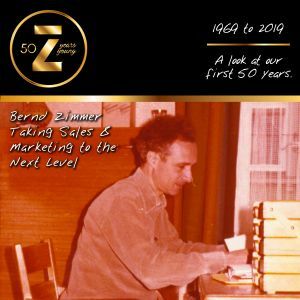 In the early 1930s, Erich, an ambitious young business graduate, entered Max Grundig’s radio store in Fürth, Germany. (Grundig would later become a world-famous radio pioneer.) Erich Zimmer captured the heart of Grundig’s sister, Klara. The two were married and decided to start their own radio business. 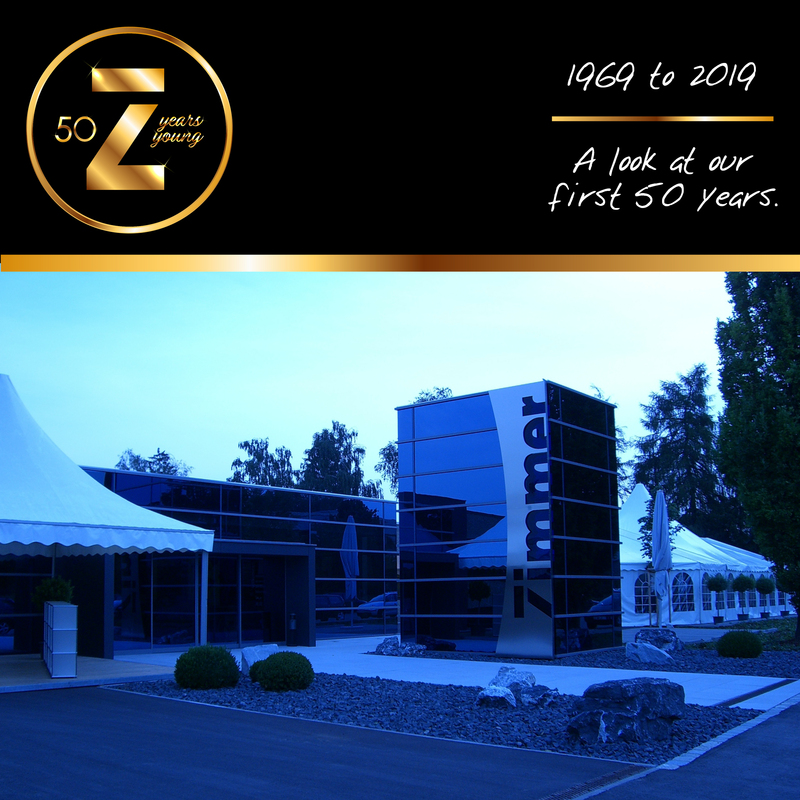 To avoid direct competition with Max, they set up shop at some distance, over 125 miles away, in Ulm, Germany. 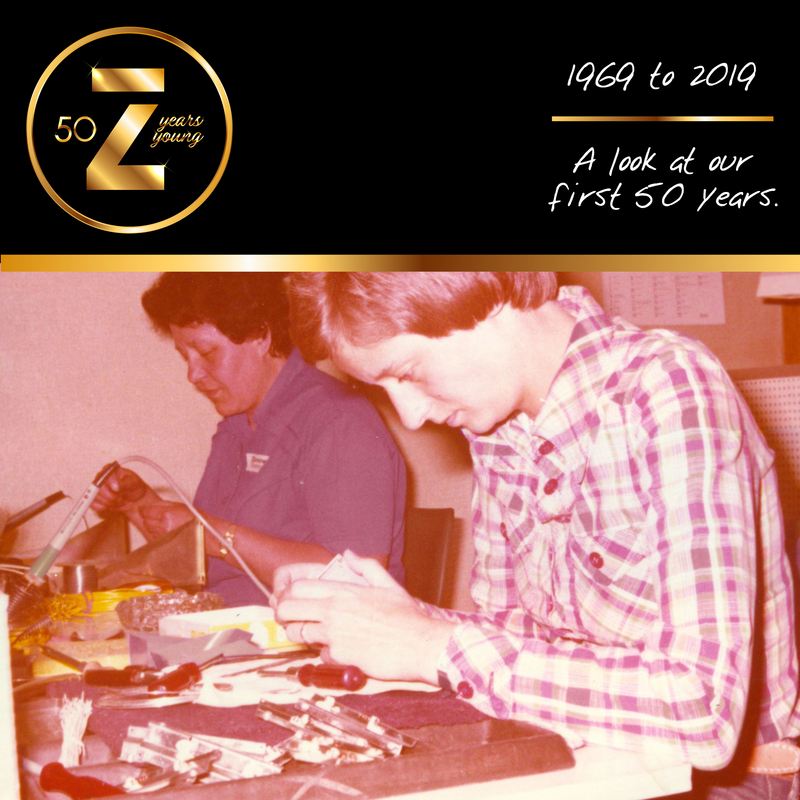 Erich, a true entrepreneur, saw that World War II created additional potential in the demand for transformers and coils. To explore the prospect, he branched into a second business, a manufacturing and repair shop. 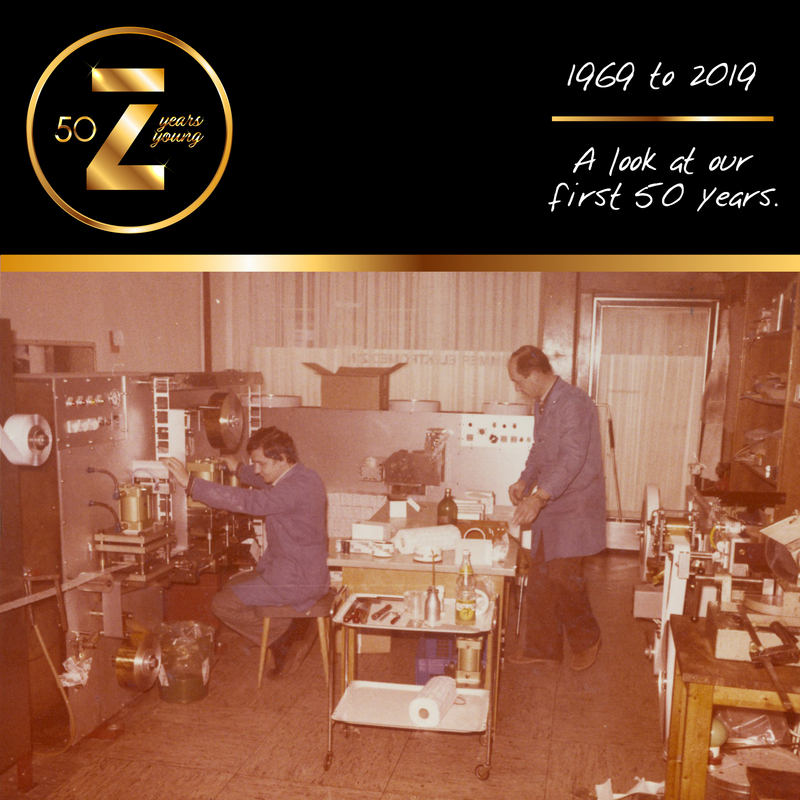 Erich’s new company was established in Senden and manufactured everything from centimeter-sized coils to meters-high transformers. Always looking for new business ideas, Erich’s company innovated a new casting technique for loudspeaker membranes. 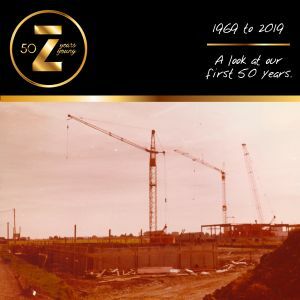 By the 1950s, Erich Zimmer had altered his business model several times in accordance with the supply and demand of post-war Germany. 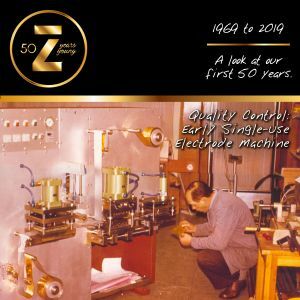 He began building wooden housings for Grundig music chests, the luxury radio product of the 1950s. 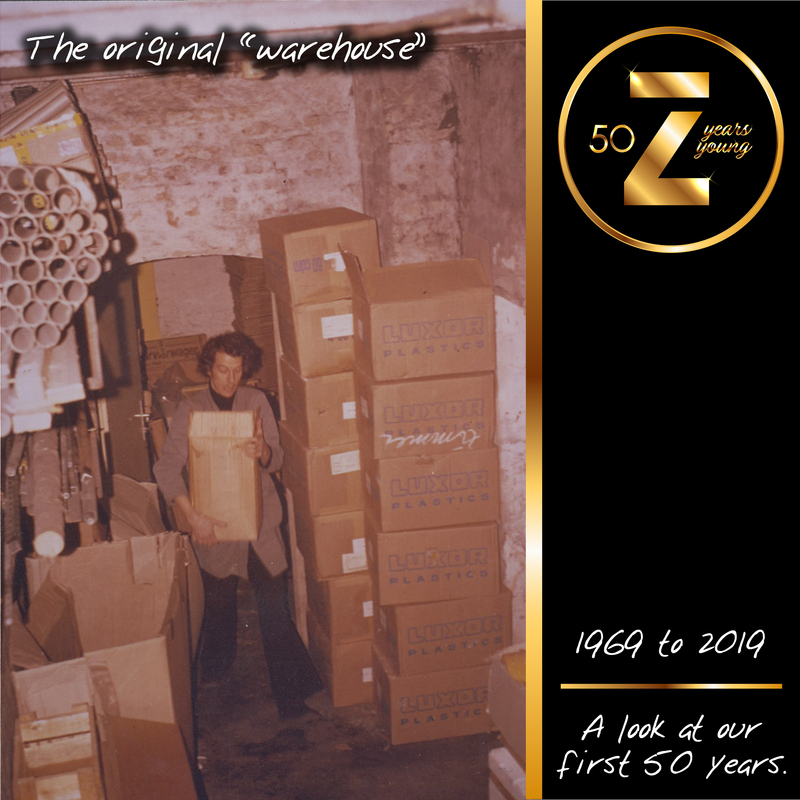 He soon grew his Senden, Germany based manufacturing company to over 200 employees. 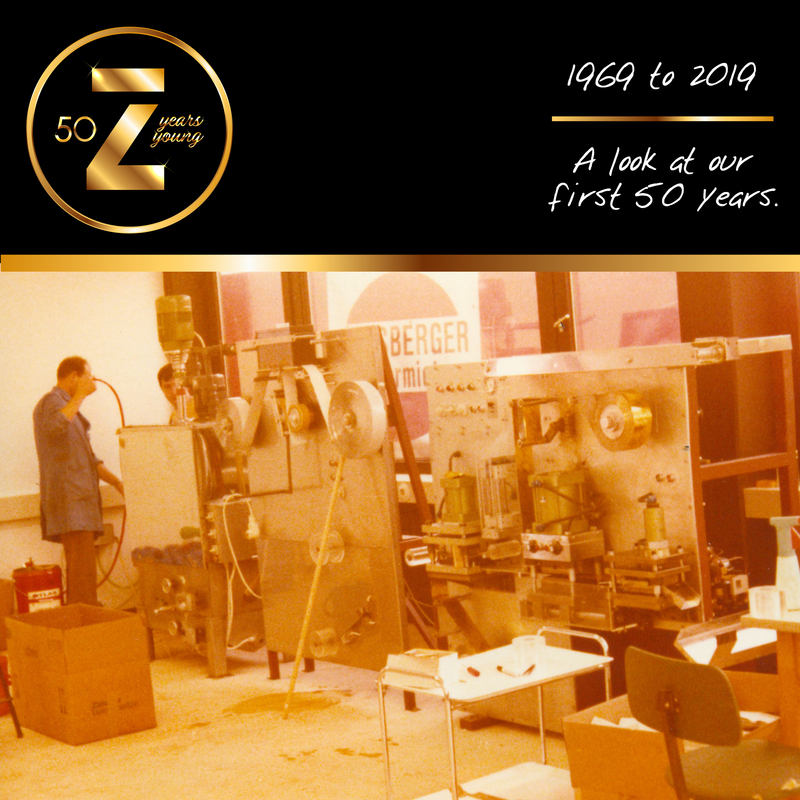 Erich Zimmer’s grown sons, Bernd and Peter were among those employed at their father’s manufacturing business in Senden. 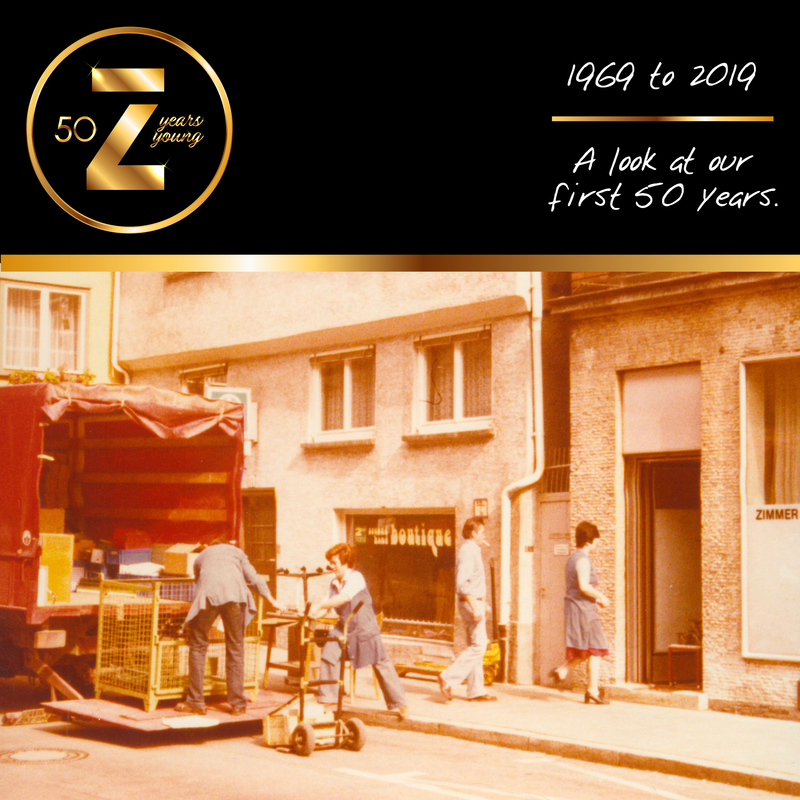 After the early death of Erich Zimmer, the Senden business was taken over by Max Grundig. It was merged into Grundig’s enterprise as “Werk Senden”. Rather than continue on as employees of that company, Bernd and Peter opted for professional independence. Together they would continue their father’s radio business in Ulm. 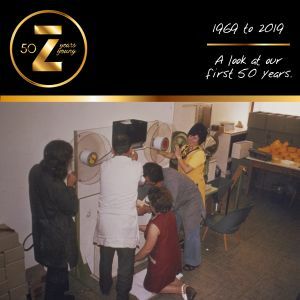 One of the first fruits of their collaborative efforts was the creation of a new radio unit, the “Musikus”. The contraption never made it to production. However, it demonstrated that their father’s innovative and entrepreneurial spirit was preserved. It was the start of a great brotherly partnership. More success came when they built a special radio receiver for pilots. In 1969, a medical doctor in Ulm entered Bernd and Peter’s shop. He brought with him an electrical stimulator that needed repair. 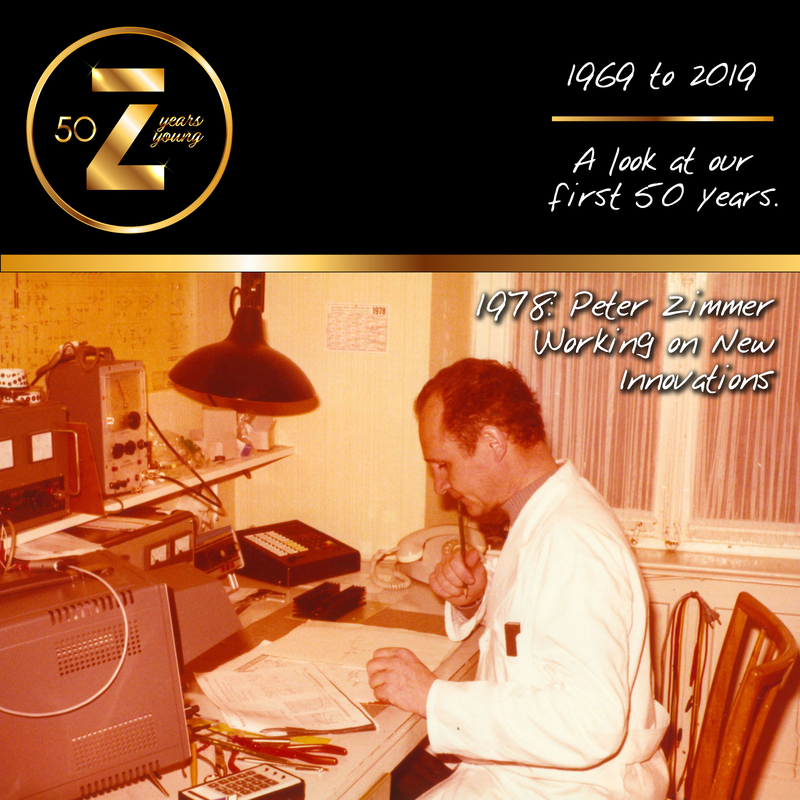 That interaction spurred the creation of the Galvamat, the first Zimmer electrical stimulator. Bernd and Peter decided to shift industries to transition from radio production into medical technology manufacturing. 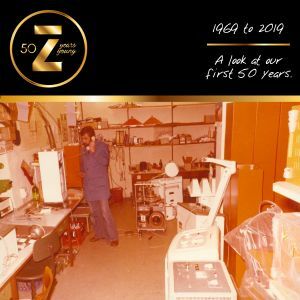 That year marked the birth of Bernd and Peter’s company, “Zimmer Elektromedizin”, later to be renamed “Zimmer MedizinSysteme”. Other early innovations included single use electrodes for electrical stimulation and a patient number calling system for doctors’ waiting rooms. Scroll down for continued story and pictures. Video slideshow also further down. 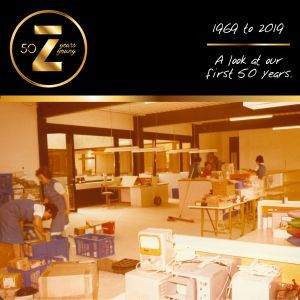 Zimmer originated in 1969 as a manufacturer of physiotherapy devices and rapidly evolved as a global leader in physiotherapy and in the aesthetic industry. 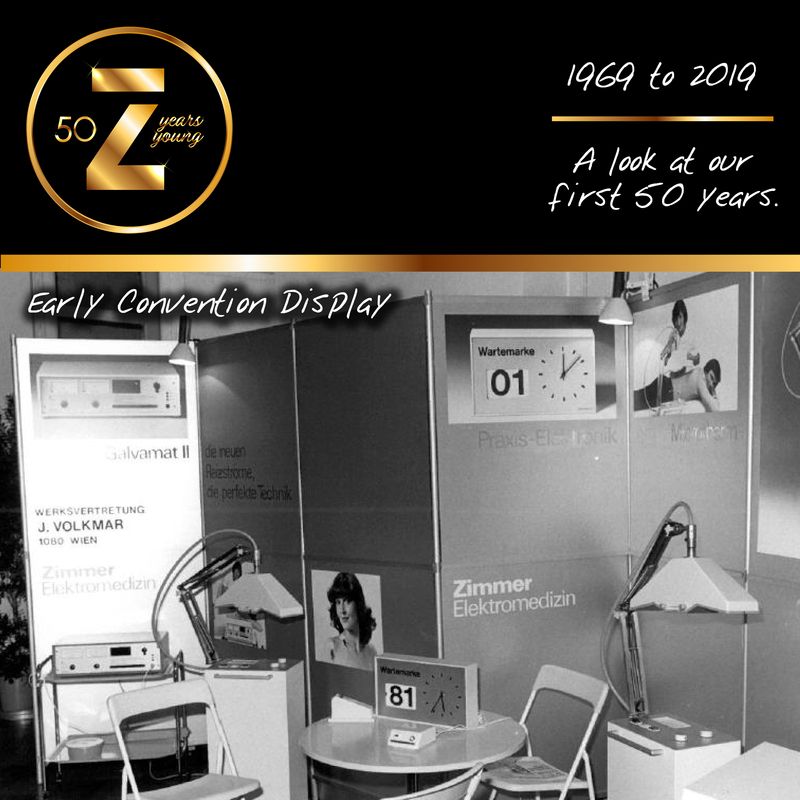 Pic 1: An early convention display from Zimmer’s beginnings, when the company was known as “Zimmer Elektromedizin”. 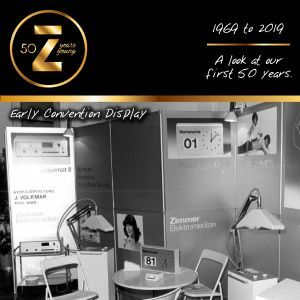 An Austrian distributor used this display for a convention in Vienna. On display are the Galvamat II electrical stimulator (left), a number calling system used for patients in a doctor’s waiting room (center), and Microtherm microwave units to the right of each of those devices. Pic 2: Quality control of an early single-use electrode machine. Today, we still provide single-use electrodes, though now modernized & with a patented coating. 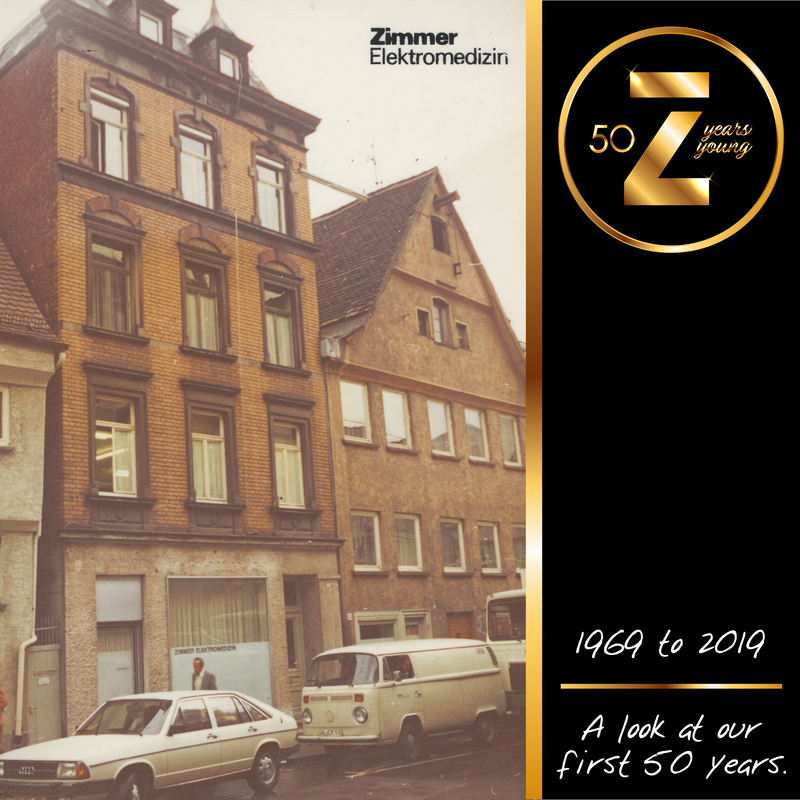 Originally known as “Zimmer Elektromedizin”, the company’s early appearance was humble on the outside. Pic 1: The original location of the company in a modest residential building on Herrenkellergasse in Ulm. 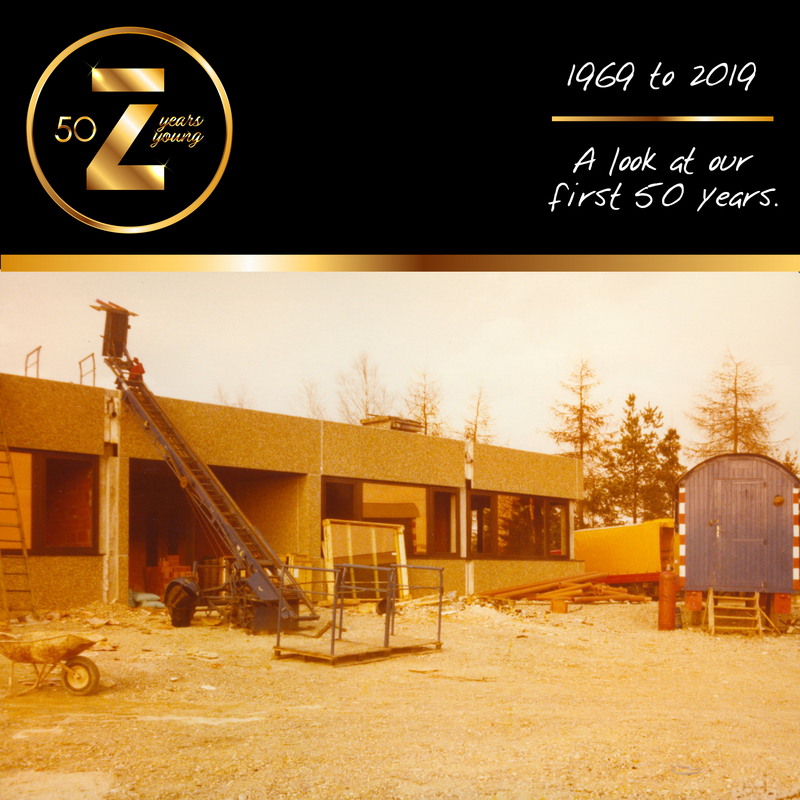 Pic 2: BIG ideas were happening on the inside that would eventually provide a source of income for thousands, worldwide. 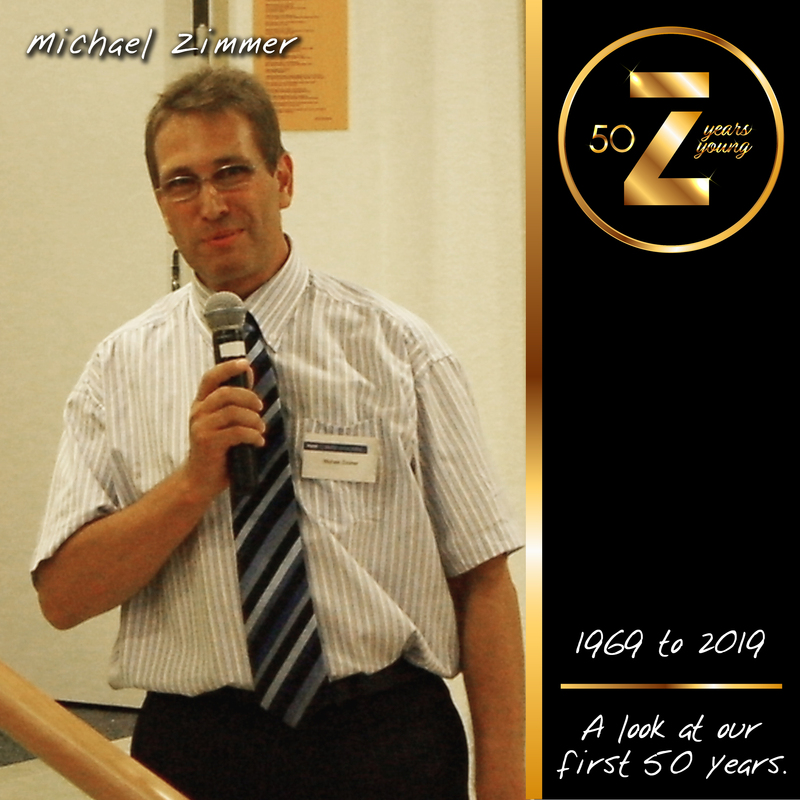 Pic 3: Providing outstanding customer service has been a priority for us since Zimmer’s early days in Germany! 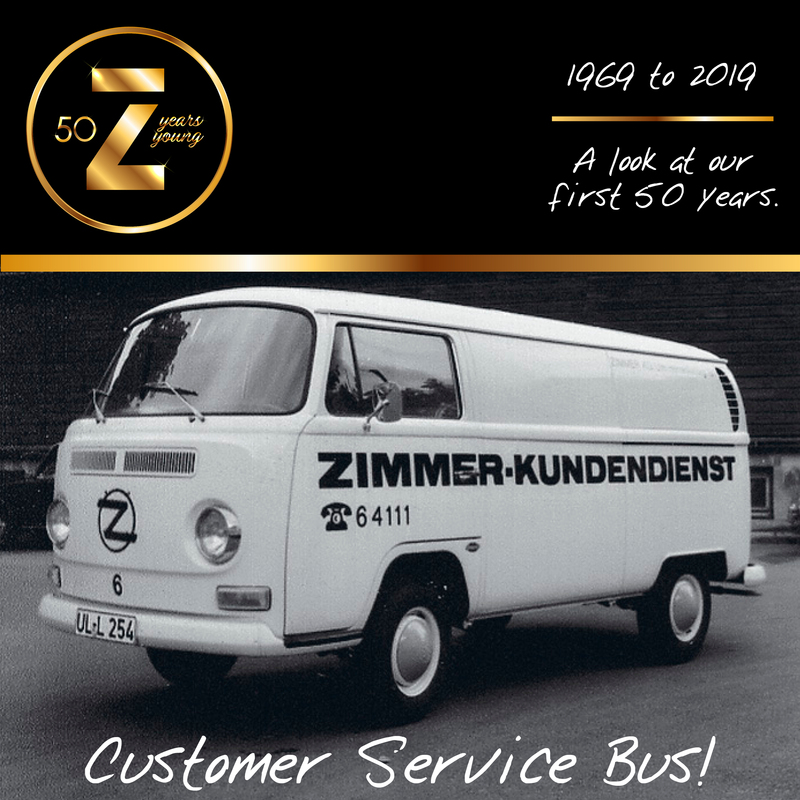 Here is a picture of the first official ‘Zimmer Customer Service Bus’. When you saw the “Z” on the front of this VW Bus, you knew that Zimmer Kundendienst was at your service! 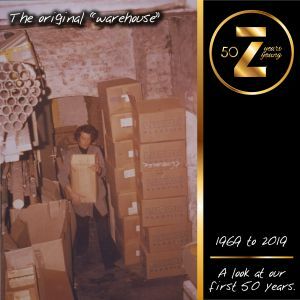 Pic 4: The original company “warehouse“ was small; the radio shop was in a German residential building. While Peter was talented in science and innovation, Bernd excelled in sales and marketing. Pics 1 & 2: Brothers, Bernd & Peter Zimmer were at the helm together: Peter on the science & innovation side, Bernd, leading sales to the next level. 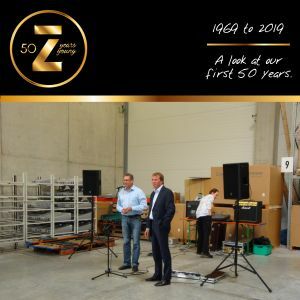 Bernd and Peter Zimmer saw great success come from their labors. The company continued to thrive. Pic 1: Production workers in the original location in Herrenkellergasse, Ulm. Pic 2: In those days, it sometimes took all hands on deck to test the single-use electrode machine. Pic 3 – 4: Galvamat production in Herrenkellergasse. Pic 5: Microtherm unit in Herrenkellergasse location. 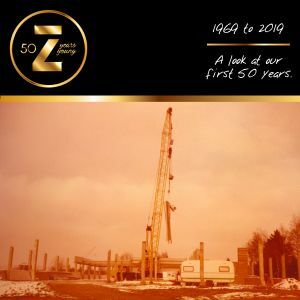 By 1979, the brothers had become successful enough to build a company complex in Junkerstrasse in Neu-Ulm. 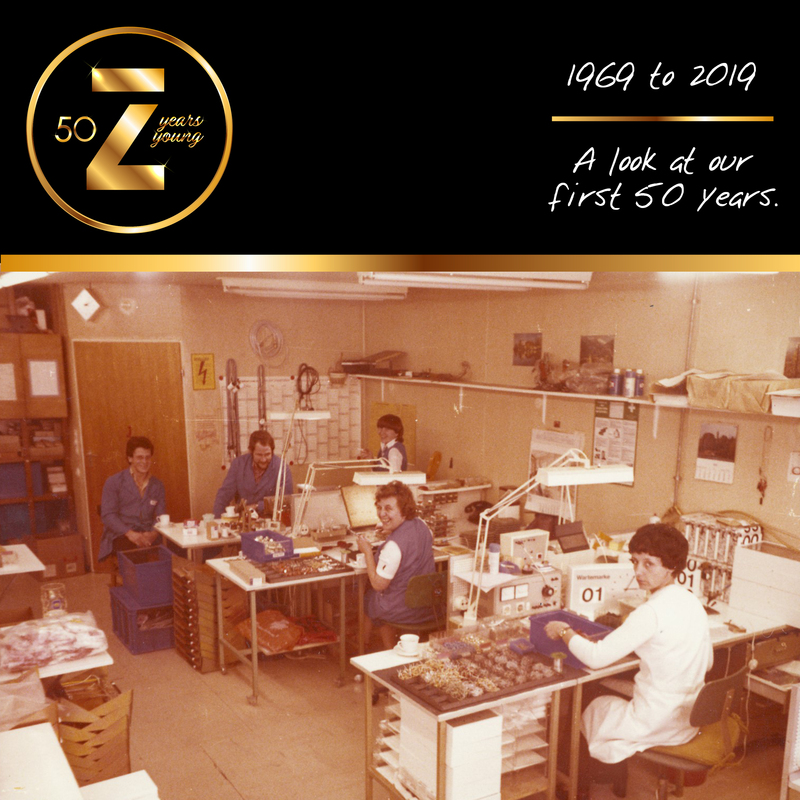 The company is still based in this location today, though it has since undergone several expansions and renovations. 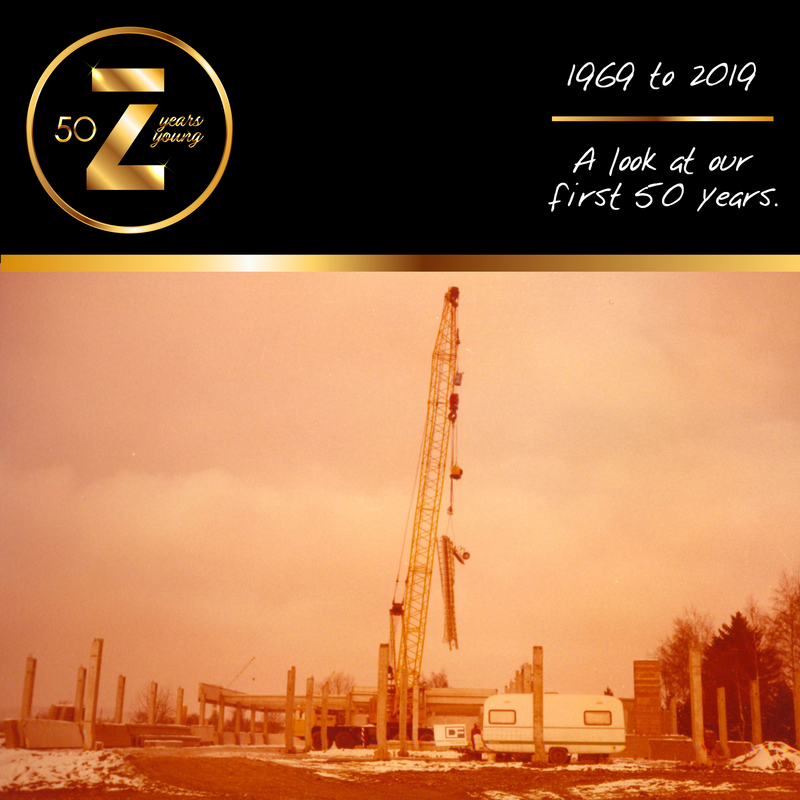 Pics 1 – 5: 1979 construction of the new company complex in Junkerstrasse in Neu-Ulm. Pics 1 – 3: The company moves from Herrenkellergasse, Ulm to the new Junkerstrasse, Neu-Ulm facility in 1979. 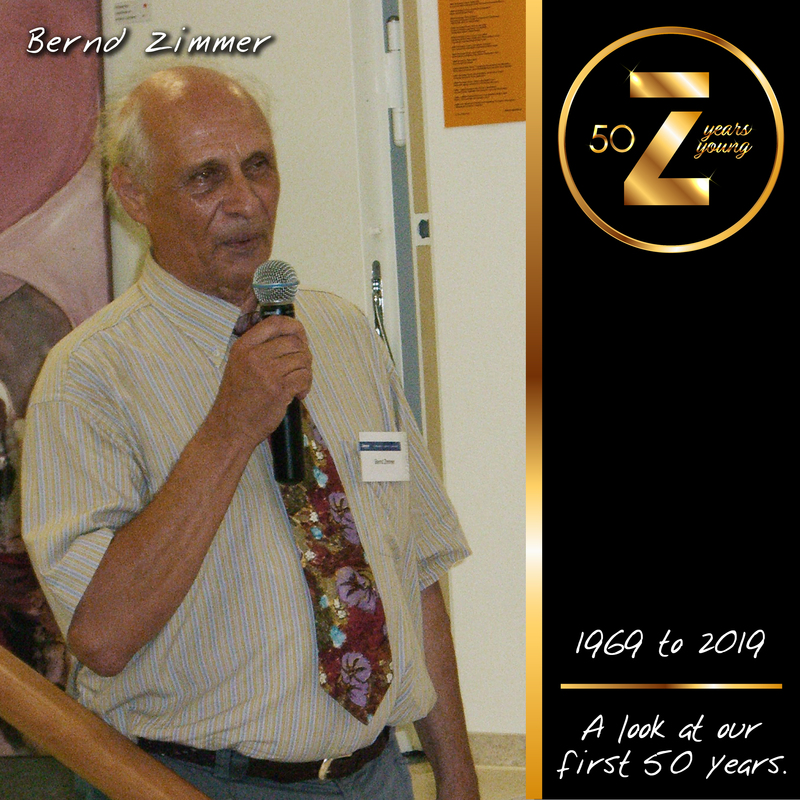 Bernd was present at the 2006 ceremony inaugurating a new building wing. 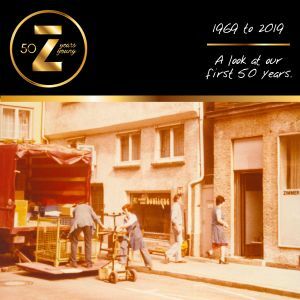 Peter Zimmer passed away that year. Pics 1 – 4: The 2006 party celebrating the building’s expansion. 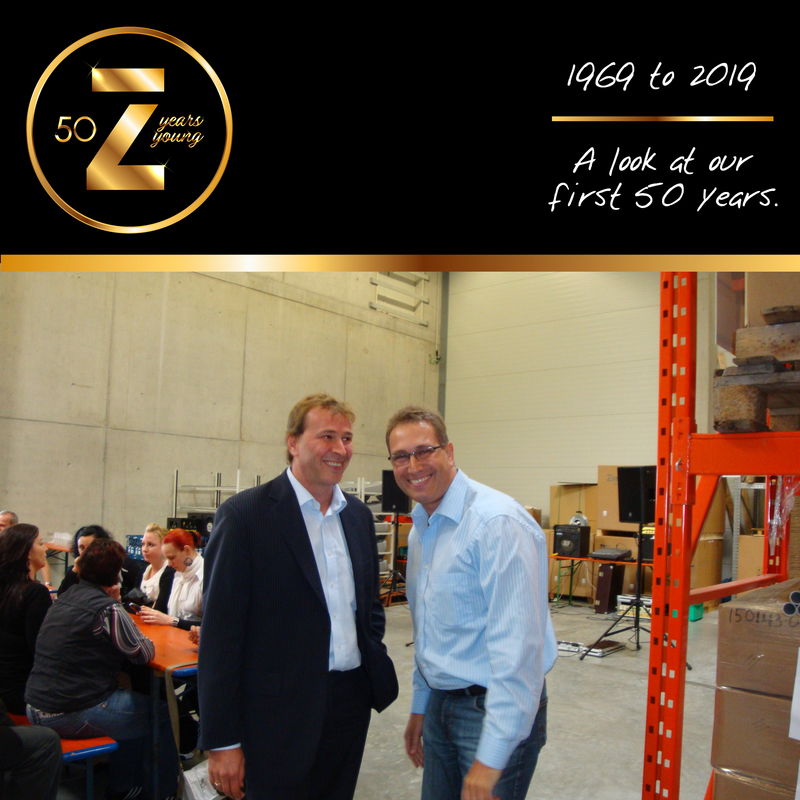 Bernd and his two sons (future co-CEOs) Michael and Armin Zimmer at the event. 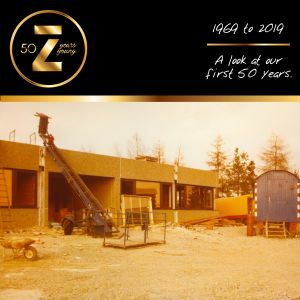 In 2008, a new warehouse was constructed. 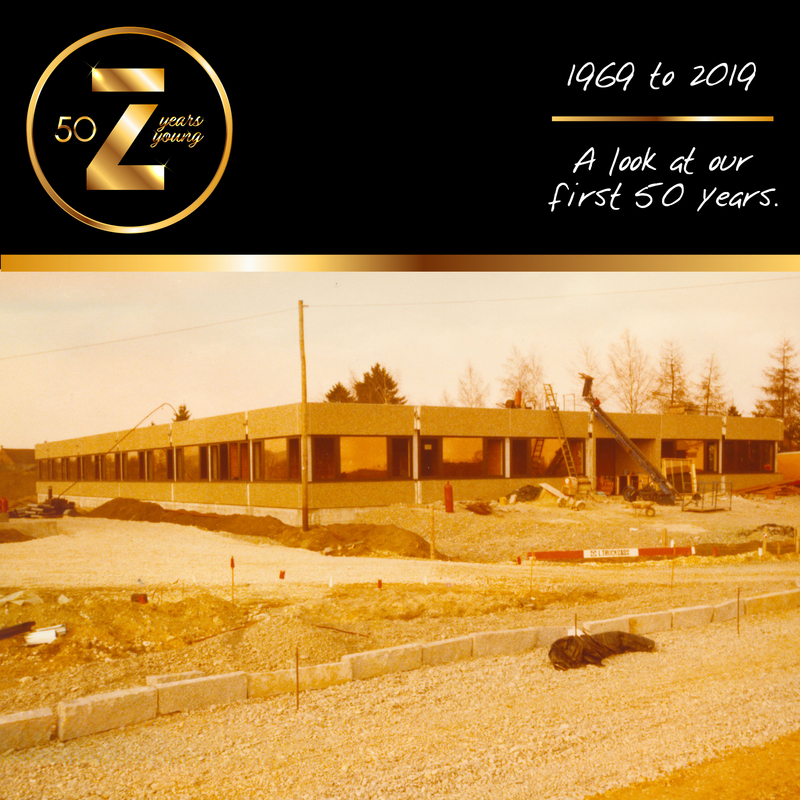 The building would now have the capacity to accommodate the company’s growth. Pics 1 – 3: 2008 new warehouse and parking lot construction. Upon completion of the project, brothers Armin & Michael Zimmer, spoke at the celebratory gathering. 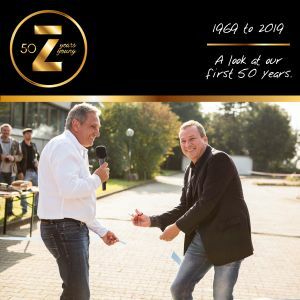 In 2013, Bernd Zimmer’s sons, Armin and Michael, took the positions of co-CEOs. 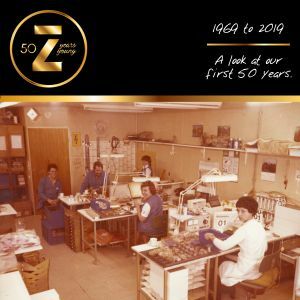 Additional family members are employed within the company, continuing in the tradition of the family-owned business. Pic 1: Peter Zimmer’s 3 daughters at the original company location at Herrenkellergasse in Ulm. Baerbel (left), Ulrike (right) and Sabine (at the work station behind them). The children learned about the business from a young age. 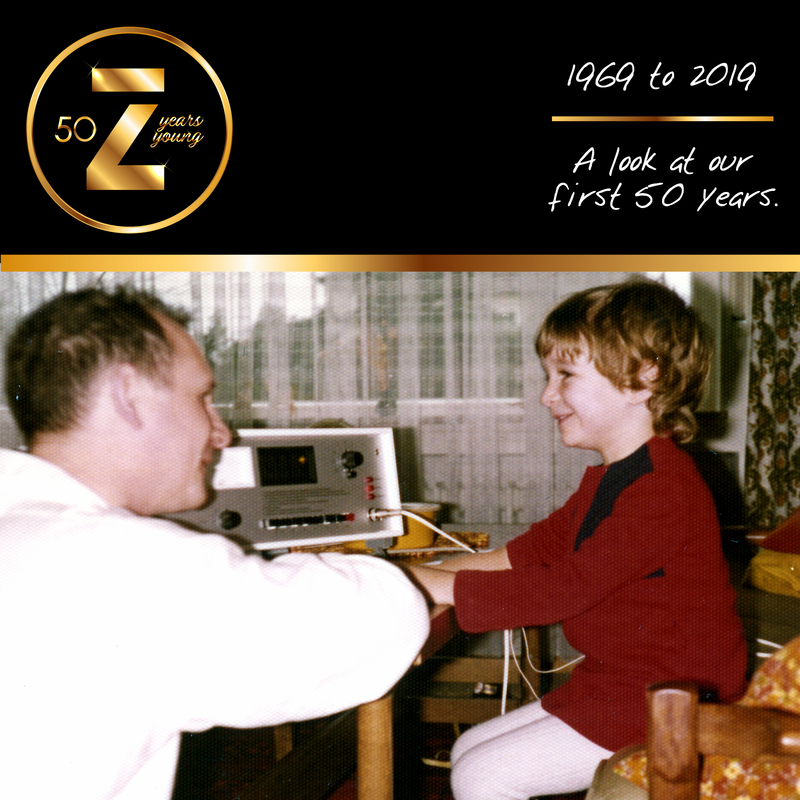 Pic 2: Peter Zimmer shows his brave daughter, Ulrike (“Ricky”), how to test the electric stimulator. 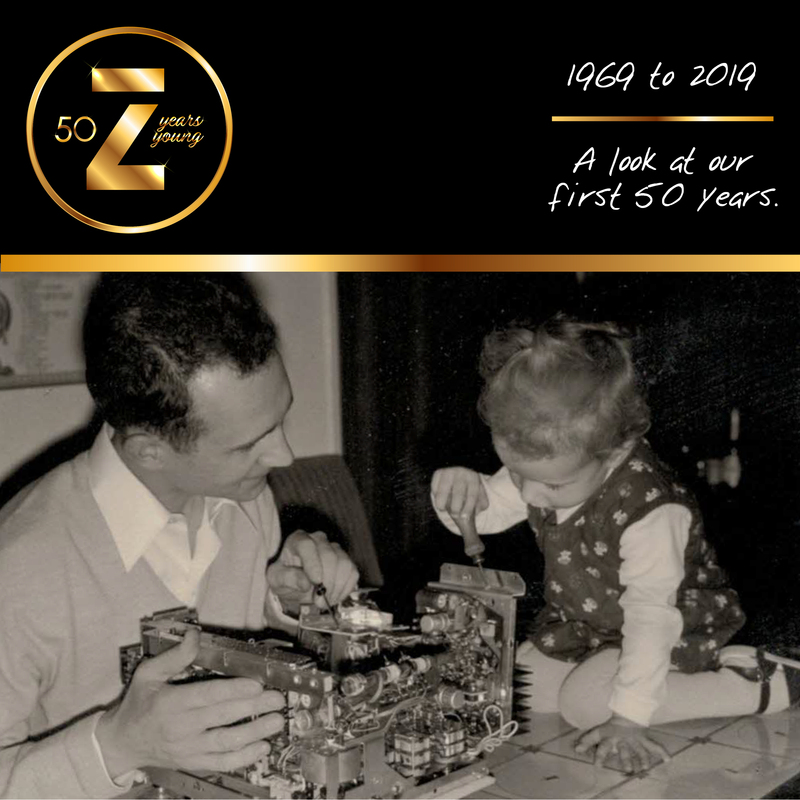 Pic 3: Peter Zimmer teaching a very young Baerbel about the production of Zimmer devices. Today, Baerbel Zimmer is a Product Manager in the Aesthetic Division. Bernd Zimmer passed away in 2017. 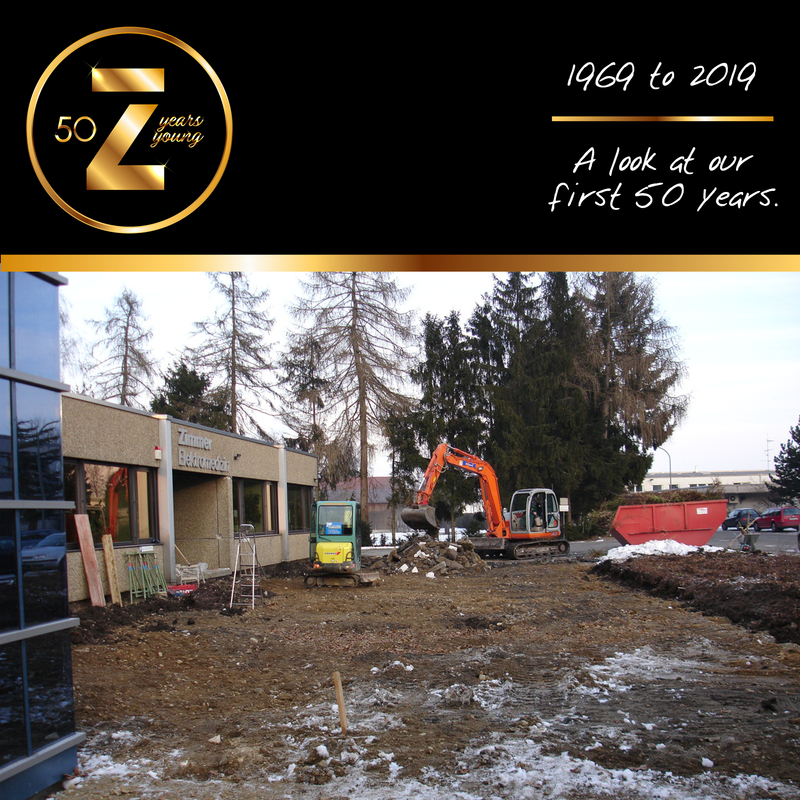 This was coincidentally another expansion milestone year for the company headquarters. 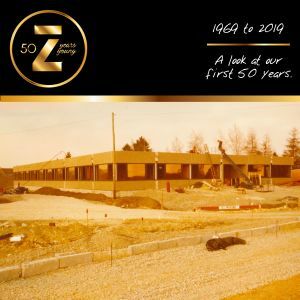 The company had just bought an adjacent building and in 2017, the interior renovation was completed. 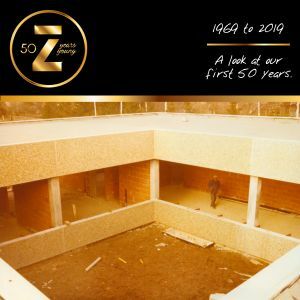 Pics 1 – 3: The 2017 expansion and interior renovation of Zimmer Germany building in Neu Ulm. 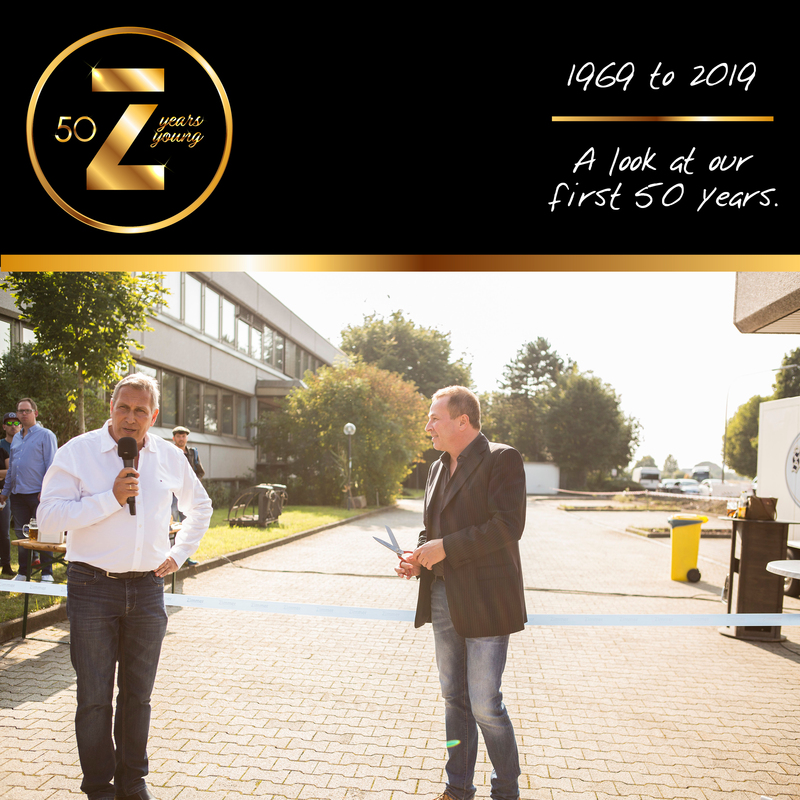 Co-CEOs, Michael (left) and Armin (right) at the ribbon cutting ceremony. 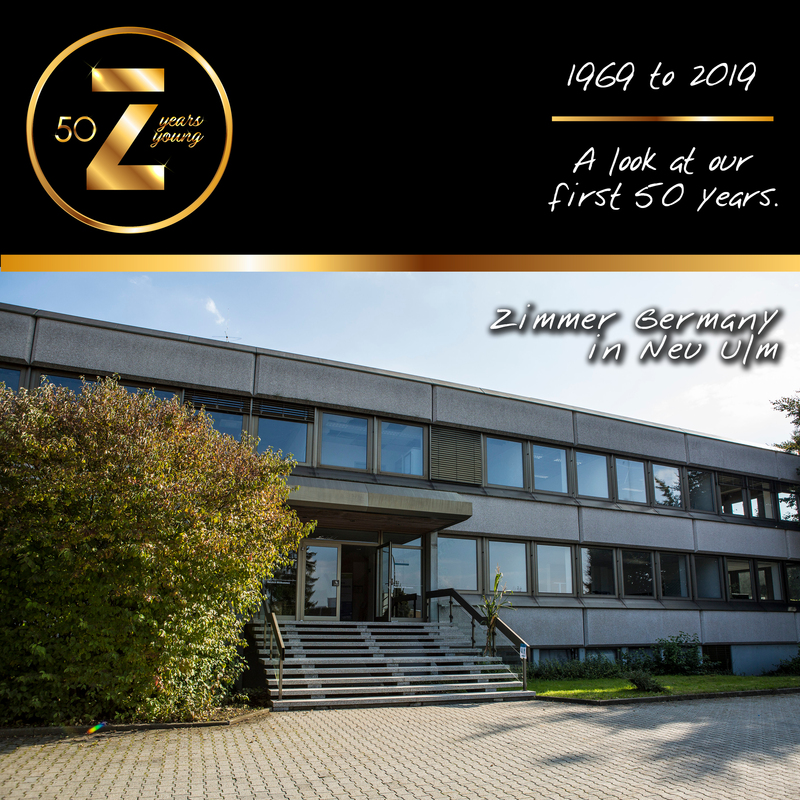 Today, Zimmer MedizinSysteme operates worldwide with hundreds of employees and provides a source of income for thousands. 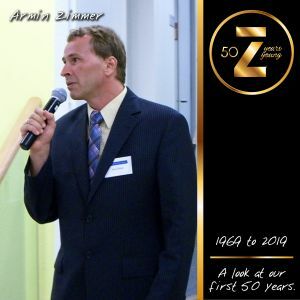 The company has become a world market leader in cutting-edge medical devices. Pic 1: Entrance monument; part of the Zimmer building today in Germany. Pic 2: Irvine, California headquarters of Zimmer USA (Zimmer MedizinSystems). 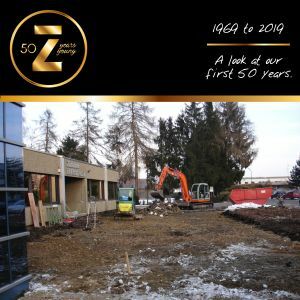 Zimmer USA’s headquarters relocated to this larger building in 2018 to accommodate the growth of its business. 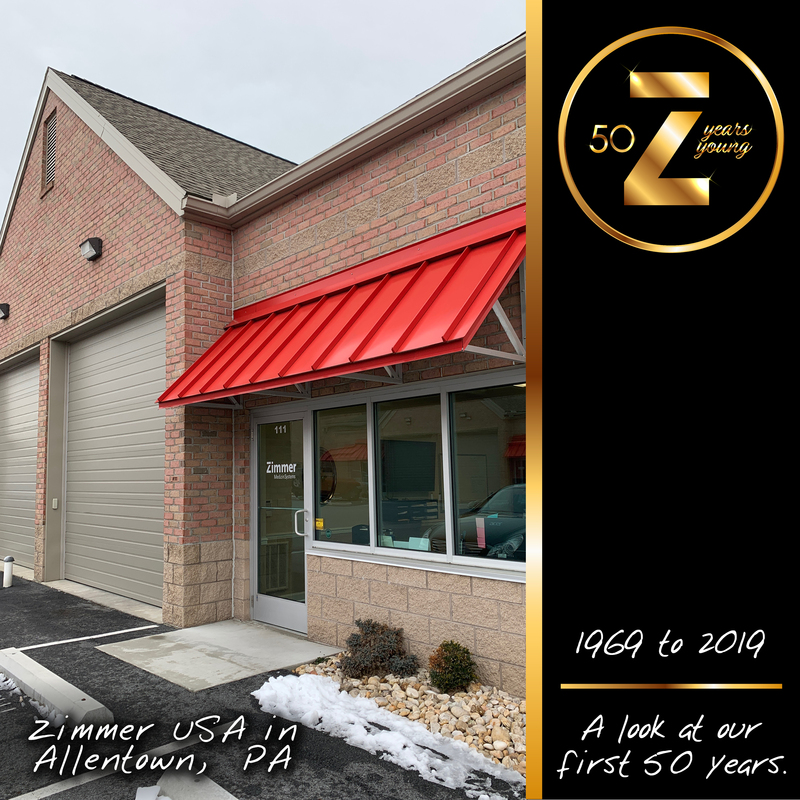 Pic 3: Zimmer USA’s Allentown, Pennsylvania office. 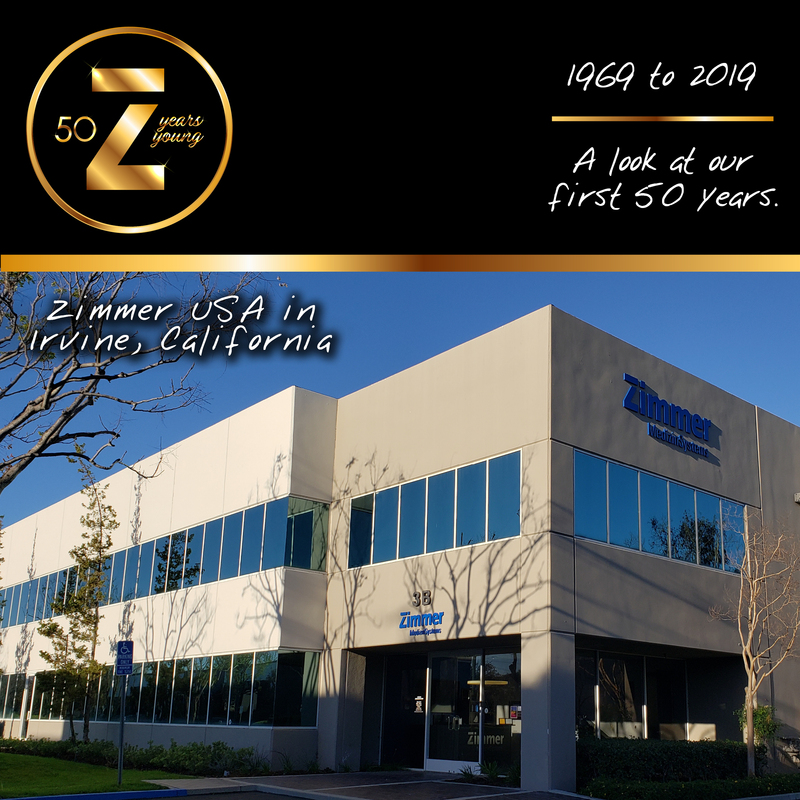 With offices on both coasts, Zimmer USA provides customer support across the time zones. Special Thanks: The author would like to give special acknowledgement to an essay written by Bernd Zimmer in 2007. 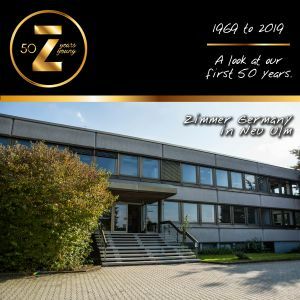 Mr. Zimmer wrote this company history in German, providing an invaluable resource on the origins of Zimmer MedizinSysteme, GmbH. 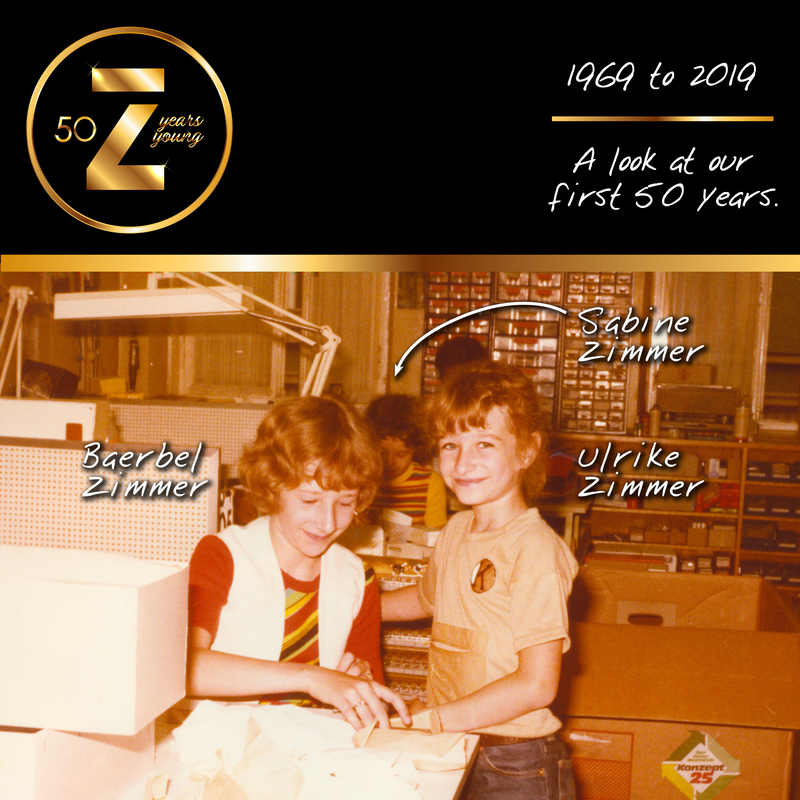 Special thanks also to Waltraud Hofer, longtime employee of Zimmer Germany, for research and fact checking assistance. 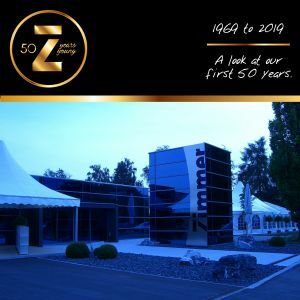 Ms. Hofer has worked at Zimmer MedizinSysteme for more than 30 years and has a thorough familiarity with the company’s evolution.